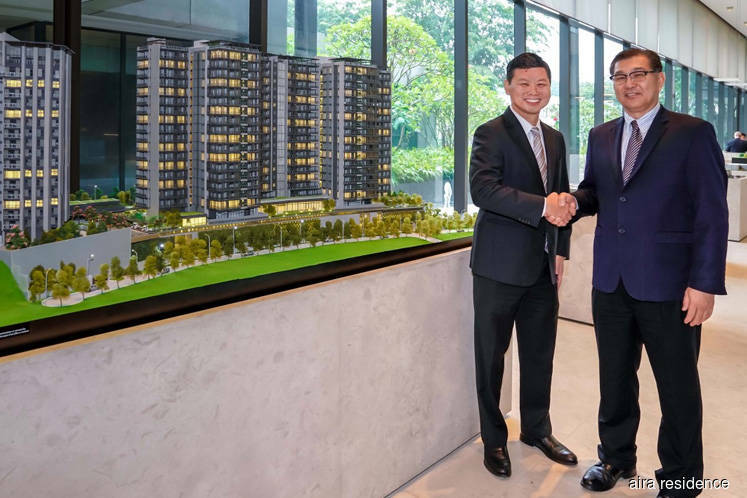 PETALING JAYA (Aug 8): Property developer Selangor Properties Bhd (SPB) has awarded the main building contract for its luxury condominium development Aira Residence to Grand Dynamic Builders Sdn Bhd (GDBSB), the group announced in a press statement today. AIRA Residence is located on the peak of Jalan Batai, Damansara Heights, Kuala Lumpur. It was launched in October last year and is currently selling for an average of RM1,700 psf. With a total of 154 units, the built-ups range from 2,679 to 7,730 sq ft and is slated for completion in late 2020. According to the statement, the contract, which is worth more than RM400 million, involves work on nearly one million sq ft of gross building area over 17 levels atop a 4-storey podium car park. “SPB was meticulous in its selection process as we needed to ensure that the chosen contractor could deliver a project demanding the very best in construction methods and quality of finishes. We are proud to be working with GDBSB, a contractor that is compiling a growing track record for delivering projects on time and on budget while not compromising on safety and meeting high-quality standards. This is shown by their aptness to achieve excellence under both the CONQUAS and Qlassic scorecard systems,” said SPB’s chief operating officer Chong Koon San. Some of the projects under GDBSB’s portfolio include KL Eco City (Parcel B), Westside III, in Desa ParkCity and Etiqa Tower. The awarding of the superstructure contract follows the successful completion of the substructure work by Geohan Sdn Bhd. To date, the developer still has over 30 acres of land available for commercial and mixed-use development in Damansara Heights.